VANCOUVER, British Columbia, Mar. 22, 2018 /PRNewswire/ -- A.I.S. Resources Limited (TSX-V – AIS,OTCQB: AISSF) (the "Company" or "AIS") is pleased to announce final interpretation of geophysics at Chiron. The company's fundamentals have not changed, but improved, and it remains on target with its timelines to become a lithium carbonate producer in the first quarter of 2020. 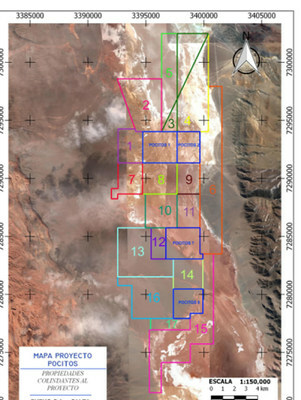 The TEM (transient electromagnetic survey) testing has detected substantial aquifers over a broad area at its Chiron Project in the Pocitos Salar, Salta Province, Argentina. 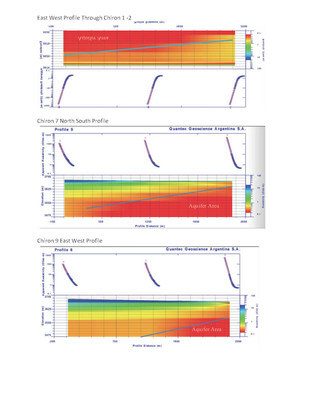 Low resistivity sequences at 10 meters, 20 meters and 100 meters are interpreted as rich sandy acquifers. See below. The surface acquifer can easily be seen but it is quite narrow in comparison to the acquifer at 3605m MASL (meters above sea level) which is 80 metres in depth. These extremely low values suggest the brines are highly conductive and not consolidated at this depth. We would expect middle size grains of sand and some clay components (that improve conductivity). The brines at the southern end of the concession have built up close to the tectonic/fault structure adjacent to the concessions. The geological model of the alluvial fans filling the basin with sands and lithium bearing minerals from the local ignimbrites and andesites is consistent with a porous sandy medium. The Puna region has experienced unusually high levels of rains due to "La Ninã" weather patterns over the last several weeks. The company is ready to mobilize a drilling crew as soon as the Salar dries and drill pads are in. All the necessary permitting is in place and drill hole locations have been finalized. The company has sufficient funds to carry out the drilling program. A total of 3200 meters is planned across all tenements. The company has completed all the necessary requirements under current mining legislation for the approval of its drilling permit and we are waiting for the Government of Jujuy to set the date for our UGAMP meeting. The meeting is comprised of several government agencies, communities and the company to discuss the project and final approval of a drilling permit.